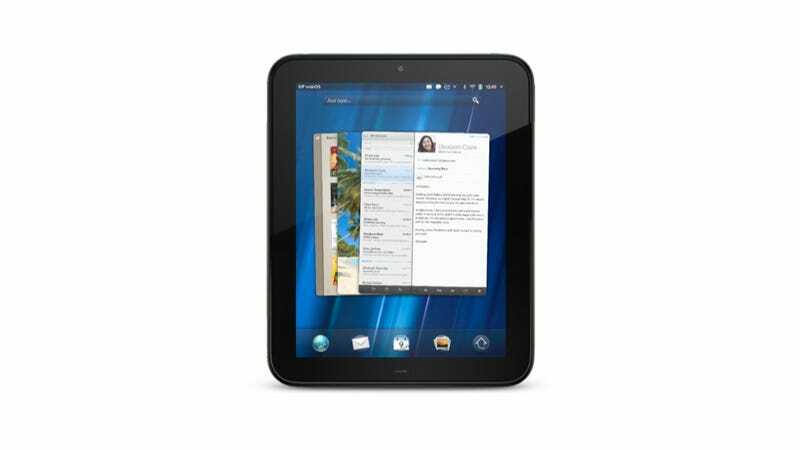 Remember the HP TouchPad, the WebOS tablet we almost liked? Well, apparently its big brother is coming down the pipe, and you can call dibs right now. You can now pre-order the new HP TouchPad (which isn't actually listed as the TouchPad 4G) at Amazon for the low, low (read: high, high) price of 700 bones. The TouchPad 4G is going to offer some improvements over the original, most significantly, 4G. It's set to go on AT&T's HSPA+ (and signing up for a AT&T data contract will almost certainly knock a good chunk off that steep price), which should give it a nice speed boost. Other enhancements? It's going to bump the original TouchPad's processor up from 1.2GHz to 1.5GHz (still no dual-core? Really? ), (that IS a dual-core. Never write before coffee.). It'll also launch with version 3.0.2 of WebOS. Hopefully those three factors will give it a much-needed speed-boost.